Saturday September 10th sees the return of the energetic and enigmatic Ray Phiri to Bassline's stage in what promises to be a highlight of the new Kaya FM Presents Live @ Bassline series. 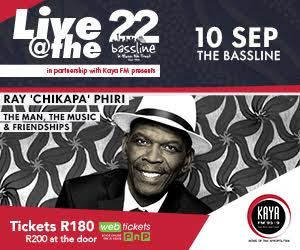 In a very special one night only performance with the legendary Ray 'Chikapa' Phiri and friends, Bassline will be the backdrop where current legends meet future legends with a host of surprising musical collaborations. 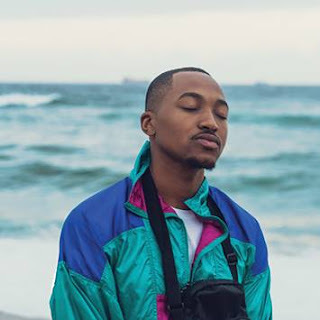 Ray's extraordinary catalogue of songs stretches back almost 50 years and this special concert takes place during Heritage Month that also happens to be the month of Bassline’s 22 birthday. As part of celebrating 22 years as the number one music venue of choice for all artists and fans, Bassline and Ray are giving Kaya FM listeners the opportunity to design the set list for the night! 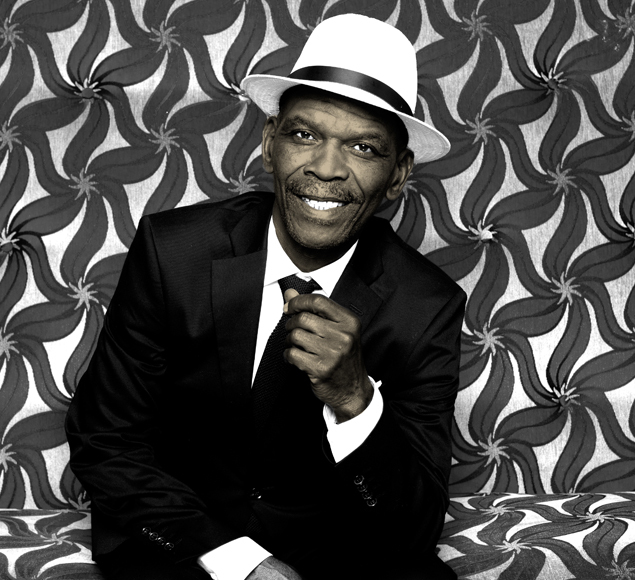 With songs ranging from Stimela, to his solo-work, Songbook, the show’s four segments will each reflect five year epochs beginning in 1994. Kaya FM fans will have this unique opportunity to take control of the show and interact with the legend himself as he reflects on the past 22 years of life in South Africa through his songs. Also taking to the stage for this rare musical feast will be newcomers Thee Legacy, an exciting acapella unit consisting of the grandsons of the legendary Ladysmith Black Mambazo. Having performed at major festivals such as the Africa Day Concert Thee Legacy will bring their eclectic mix of musical alchemy to the night. Be part of the experience on the 10th September 2016 and be included in the audience of the show as it is live-streamed (via Skyroom Live) and recorded later for pay per view. Tickets can be bought at Webtickets for R180 or R200 at the door.